Gold at the British Property Awards 2019 - Third Year Running! In recent years both our Canterbury and our Sandwich office have won 'gold' at the British Property Awards! Sandwich has just been awarded Gold again for the third year running in 2019! 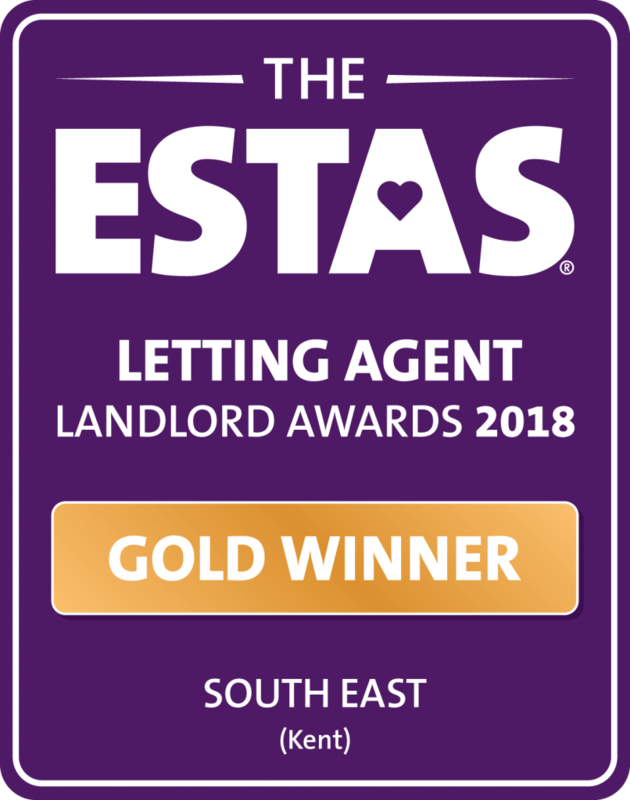 After winning ‘Best in Kent’ – Voted by Landlords at the ESTAS Awards in 2018, we’re delighted to announce we have been shortlisted again in 2019! Regal Estates has become known and respected as the leading independent estate agent covering the Canterbury, Sandwich and Dover area. Through our competitive range of residential property services we have proven our ability to create value for our clients, whether vendors, purchasers, investors, developers or tenants. We pride ourselves in the professional manner with which we conduct our business, and our unique combination of local knowledge and entrepreneurial style enable us to offer our clients the highest level of service available in the market today. The calculator works out the Stamp Duty Land Tax (SDLT) you’ll have to pay for residential purchases (including lease premium) using new rules effective from 4 December 2014. It also shows how much SDLT is due under the previous rules and for non-residential purchases. Find the latest residential properties and land for sale or to let in Canterbury and the surrounding areas. Save your favourite properties and searches to receive push notifications when properties meeting your search criteria come onto the market with Regal Estates. Share properties with friends and family on your favourite social media with no adverts from third parties.